Registered Nurse Case Manager - Hospice - PM - No Weekends at HCR ManorCare Inc.
Full Time-Week Day PM, 2pm-12am M-Th, RN Position that offers one on one care in a setting patients love....home. 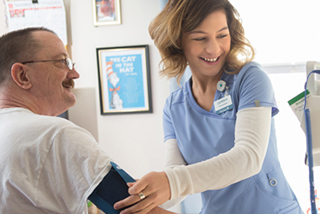 Heartland Hospice has an exciting opportunity for an experienced RN to provide hospice clinical care to our patients in their homes. Our patients are located in Fond du Lac and areas east of Lake Winnebago (Manitowoc, Calumet, Sheboygan and eastern Fond du Lac Counties). If you enjoy autonomy this is the position for you! In this role you will manage a group of patients plan of cares and provide clinical visits to them as needed. 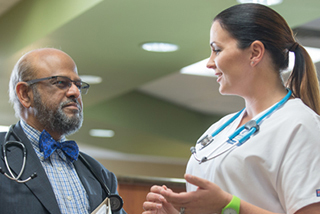 As a RN Case Manager, your ability to manage client care with specific knowledge and experience in bedside care, symptom management, crisis intervention and family intervention are feature assets for this high-profile nursing position. In addition to excellent written/verbal communication, problem solving and decision making abilities, our candidate has demonstrated experience developing and maintaining rapport with patients and families, and the ability to work well with an interdisciplinary team. In return for your expertise, you’ll enjoy excellent training, generous retention bonus, competitive compensation, industry-leading benefits including student loan assistance, mileage reimbursement, health, dental, vision, 401 (k) with match, generous paid time off that starts accruing at day one, and unlimited opportunities to learn and grow. Consider joining the 15th largest healthcare system in the nation and the largest not for profit senior living organization for skilled nursing, assisted living and hospice care. Interested candidates please apply on line! $5,000 Retention Bonus offered. Hours of this position are 2pm-12am M-TH with no on call required. We may be able to offer some flexbility with the schedule so tell us your schedule and we will see if it will work!